Welcome on Board! “THE LEADERSHIP LANDING” is your destination gateway to First Class Corporate Leadership Training, financial education, interview preparation, motivation, and personal / professional development. Whether you are an entrepreneur, business owner or individual looking to grow your business, get that raise or promotion at work, prepare for an interview, public speak, educate young adults,improve your own finances, learn true success principles, or better your personal or business relationships, this world class leadership training and education is the answer. It’s been proven to help change lives in a significant way. THE LEADERSHIP LANDING combines the best of best- World Class leadership and personal development education & training, along with proven leadership principles and practices utilized in today’s modern airline cockpit. With this unique approach, the sky’s the limit! Cleared to land at THE LEADERSHIP LANDING. Destination success awaits you! 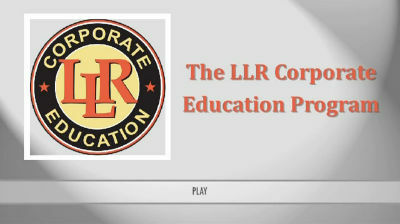 Based on the New York Times bestseller Launching a Leadership Revolution, the six-month LLR Corporate Education System is designed not just to train your employees but to gradually and effectively develop your existing professional-level talent into engaged, contributing, go-to leaders and systemically create a permanent culture of leadership that affects every employee within your organization. Leadership development is arguably the single most important investment any company can make. As many as 75% of employees don’t quit their job; they quit their boss. (We dare you to Google that!) The LLR leadership development program is the most comprehensive and impactful course on the market today—and the least expensive! We guarantee it. Our children’s future- Help them soar to success! “The Leadership Landing” reaches over 178,000 hits! What is a LIFE Manifesto? How can YOU get financially fit?